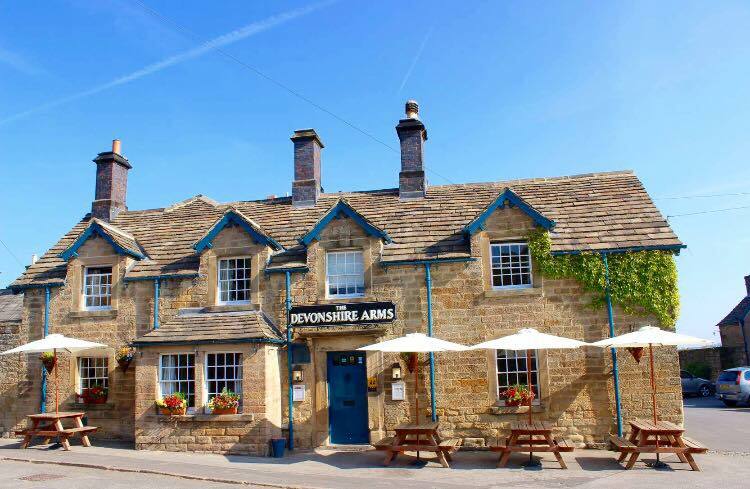 The Devonshire Arms at Pilsley is a traditional English inn specialising in great food, excellent ales and comfy rooms. The food on offer in the dining is a very sophisticated take pub fare. Chef Patron Alan Hill sources local ingredients, most of which come from the Chatsworth Estate itself. The drinks on offer in the pub include great local ales on tap, including Chatsworth Gold. I am from Australia. So the atmosphere was wonderful we don’t get pubs like that in Australia. My mother loves it and the dog had a great time. An absolutely superb lunch. Service was extremely good,  everyone so friendly. We will definitely return. Really lovely stay, lovely facilities and staff! After a 4 year sad(on our circumstances) hiatus in regular weekend visits,we were so impressed by the improvements from a high bar.Every single member of staff were engaging and enthusiastic.The food at dinner was amazing,we hope the chefs,get the recognition they deserve.The room and it's decor was superb. We had a lovely stay, the room was clean and well equipped. The food in the evening was excellent, with special mention to the lovely lady that served us on the Saturday evening. I have already recommended this hotel to my friends. We look forward to returning again soon. Many things on the food and drinks menu were not available due to being out of stock, not great. We visited on Mother's Day - the table was ready on time, the food was excellent and the service top drawer. We will definitely return! Lovely food and good service. What more could you ask!? Beautiful Hotel spoilt by the poor quality of Food & Service. We ate late and had starters & mains within 20 min. It was clear that the Chefs were finishing early and were on a mission. The fish was so poorly filleted, it looked like someone had used a spoon to cut it and de-boned it in the dark. Breakfast was just as bad, 1 person serving ALL the guests and no plates on the buffet bar. Basil Fawlty would feel at home in this living nightmare. We had a lovely break- everything was perfect. Thank you. Could not fault anything. Highly recommend. Comfortable stay with friendly staff in a beautiful location. Really nice food. We were running late due to traffic and the waitress was very accommodating in letting us come later. The restaurant was surprisingly quiet for a Sunday afternoon on a sunny spring day so the atmosphere in the pub was quite flat. Despite it being quiet we were put on a small table in the corner of the back room which was a shame so we were the only ones in there. We had asked if the pork Sunday roast came with cracking, which the waitress checked and confirmed it did. A few of us ordered pork on that basis but then when the food came out they forgot the cracking. After asking for it they waiter brought some out in a separate bowl. Overall nice meal and value. The quality of the room and fittings is excellent, the food is delicious and the service is friendly, polite and efficient! A couple of small irritations are that the front door of the pub bangs closed very loudly, disturbing guests in the rooms above, and there is no discounted entry offered for Chatsworth House, which is disappointing. Also, we feel that the cost of the room and limited £29 allowance towards the dinner costs is not particularly good value. Friendly, efficient staff and excellent food. 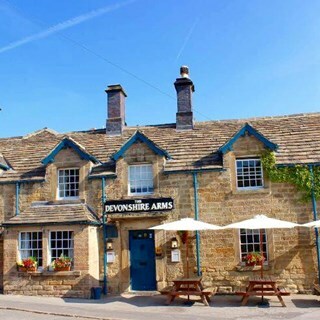 Always a pleasure to visit Chatsworth and The Devonshire Arms at Pilsley. Great Sunday lunch, with friendly, welcoming staff throughout. Visited many times and always enjoy and will be back soon.